Purdue, Teva, Cephalon, Johnson & Johnson, Jansesen named in multi-million lawsuit to hold companies responsible for epidemic of fatal overdoses. NEW YORK CITY, NY: 1.23.2018 —Mayor Bill de Blasio and First Lady Chirlane McCray announced a the City had filed a lawsuit today in New York State Supreme Court to hold manufacturers and distributors of prescription opioids to account for their part in the City’s ongoing deadly opioid epidemic. The lawsuit aims to recover half a billion dollars in current and future costs the City will incur to combat this epidemic. In 2016, more than 1,000 people in New York City died in a drug overdose which involved an opioid, the highest year on record. More New Yorkers died from opioid overdoses last year than from car accidents and homicides combined. “The opioid epidemic has destroyed the lives of too many New York families. Enough is enough, and it is time we hold manufacturers and distributors accountable. New York City makes a tremendous step forward today by filing this lawsuit as we inch closer to combating the opioid crisis. I thank the Mayor and the First Lady for their leadership on this critical issue, and I look forward to working with them on providing closure to families affected by the opioid epidemic,” said Speaker Corey Johnson. The City joins hundreds of municipalities across New York State and the nation as it seeks to hold opioid manufacturers and distributors accountable for their illegal actions. The suit charges that manufacturers’ misrepresentations of the safety and efficacy of long-term opioid use and distributors’ oversupply of opioids that enable diversion to the illegal market continue to fuel the crisis and significantly contributed to creating and maintaining a public nuisance in the City. The lawsuit alleges that the opioid crisis caused by manufacturers’ deceptive marketing, and distributors’ flooding of prescription painkillers into New York City has placed a substantial burden on the City through increased substance use treatment services, ambulatory services, emergency department services, inpatient hospital services, medical examiner costs, criminal justice costs, and law enforcement costs. Furthermore, manufacturers sought to create a false perception that using opioids to treat chronic pain was safe for most patients and that the drugs’ benefits outweighed the risks. This was perpetrated through a coordinated, sophisticated and highly deceptive promotion and marketing campaign – including unbranded messaging to evade extensive regulatory framework governing branded communications. These communications, which began in the late 1990s, became more aggressive around 2006 and continue today. Distributor defendants, who have both the obligation and the tools to track suspiciously large surges in opioid demand, including at the level of individual pharmacies or clinics, have failed to use these tools to warn public officials about suspicious orders, which they are legally required to do, or to reasonably exercise controls over the obvious oversupply of opioid pills. Manufacturer named in the suit are Purdue Pharma L.P.; Purdue Pharma, Inc.; The Purdue Frederick Company, Inc.; Teva Pharmaceuticals USA, Inc.; Cephalon, Inc.; Johnson& Johnson; Janssen Pharmaceuticals, Inc.; OrthoMcNeil-Janssen Pharmaceuticals, Inc.; Janssen Pharmaceutica, Inc. n/k/a Janssen Pharmaceuticals, Inc.; Endo Health Solutions Inc.; Endo Pharmaceuticals, Inc.; Allergan PLC f/k/a Actavis PLC; Actavis, Inc. f/k/a Watson Pharmaceuticals, Inc.; Watson Laboratories, Inc.; Actavis Pharma, Inc. f/k/a Watson Pharma, Inc. The distributors are McKesson Corporation; Cardinal Health, Inc.; and AmerisourceBergen Corporation. “Defendant manufacturers for decades engaged in an aggressive and highly deceptive marketing campaign to minimize the risk of addiction and convince doctors, patients and consumers that opioids were safe and effective for the long-term treatment of chronic, non-cancer pain, even though they knew no evidence existed to support that claim. Manufacturers’ campaign to expand the market for opioids and reap blockbuster profits triggered widespread opioid over-use, misuse, addiction and a devastating public health crisis across the nation and in the City. Defendant distributors also contributed to the crisis by shirking their legal obligation to track, control and report suspiciously large opioid pill orders and thereby flooding the City with these highly addictive narcotics. Our suit seeks hundreds of millions of dollars the City has spent and will be required to spend to deal with the public nuisance created by the drug companies. Together with cities and counties across the country, we will work to hold the drug companies responsible for their actions,” said City Corporation Counsel Zachary W. Carter. The opioid crisis has had serious impacts on New York City. The number of drug overdose deaths has increased within the City in each of the last six years. Rates of drug overdose deaths in New York City more than doubled between 2010 and 2016, increasing from 8.2 per 100,000 residents in 2010 to 19.9 per 100,000 residents in 2016. DOHMH reports that while drug overdose deaths impact every neighborhood and demographic in New York City, residents of impoverished neighborhoods are the hardest hit. Roughly 2.7 million opioid prescriptions were filled within New York City each year between 2014 and 2016. Under HealingNYC, a $38 million initiative to address the opioid epidemic announced by Mayor Bill de Blasio and First Lady Chirlane McCray last March, the Health Department has already distributed over 60,000 naloxone kits to opioid overdose prevention programs; expanded access to medications for addiction treatment; launched Relay, a new peer-based program in hospital emergency departments for people who experienced an overdose; trained more than 630 clinicians to prescribe buprenorphine; offered 1:1 education on judicious opioid prescribing to 1,000 doctors; and significantly increased community outreach and public education efforts. 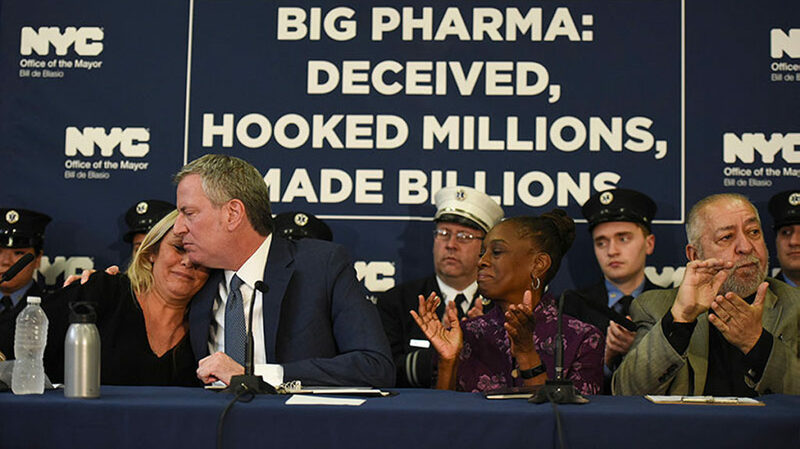 “I applaud the Mayor for taking a stand against pharmaceutical companies whose dishonest practices have damaged our communities and hurt our families. Opioids are a nuisance in our community and a drain on our City’s health and safety resources. These companies should be held responsible for helping our communities recover and I commend the Administration for taking this bold step to end the opioid epidemic,” said Council Member Vanessa Gibson. “This action is a step in the right direction to truly address a public health crisis that has impacted hundreds of thousands of Americans. Lawsuits like this are important because they can generate an influx of sorely-needed resources to fund treatment and prevention efforts for those suffering from addiction. Tragically, many people have contributed to the opioid crisis and it is past time for accountability: the pharmaceutical industry; the insurance industry, whose lack of adherence to the Federal Parity Law has created a landscape ripe for discrimination against those with substance use disorders; and the federal government, whose inaction and lack of appropriate funding has only fueled the fire. Congress only appropriated $500 million this year to fight the opioid crisis. In contrast, the federal government was spending $24 billion at the height of the HIV/AIDS crisis. People in need of treatment and their families need support now,” said Patrick Kennedy, former U.S. Representative, the founder of The Kennedy Forum. First Lady Chirlane McCray: I want to thank you Reverend Rivera for sharing your family story. I know it’s very painful. But we’re very pleased that she is on the path to recovery. And thank you for all the work that you’re doing to help our communities heal. And thank you all for joining us today. All over our city people are hurting from this crisis. There are mothers, fathers, daughters, sons, sisters, brothers, partners, and friends who struggle everyday with opioid use. And there are many, many people who have lost loved ones to this deadly epidemic. A few months ago I helped honor a group of extraordinary people all of whom have saved a life or in some cases, many lives using naloxone – the medication that reverses opioid overdose. Some of the folks we honored use opioids themselves or they have in the past. But they all love and care about people who use opioids. Some are peer workers who are working hard every day to manage their own addiction and they’re also dedicating their lives to helping others navigate the long and difficult path to recovery. They came from different walks of life who have different ethnicities and even spoke several different languages. When they used naloxone in a time of urgency, all of them became lifesaving heroes not because they wanted to, but because they had to. No one else was going to save the people that they love. And because they understand what our society has been too slow to grasp. Addiction is a chronic disease. And the people suffering need our help and support, not our judgement. For me, participating in such a joyous celebration of life amidst so much tragedy was an incredibly powerful experience and I want to share one story from that day. Before the awards were given a minister came up to deliver a none denominational invocation. She asked for a moment of reflection and contemplation but not of silence. Instead she asked the audience to say the names of people they have lost to addiction. And to hold them close throughout the ceremony. It started slowly with a single name being called out from the back corner of the room. Then another, and another, and soon everyone at the auditorium was speaking the name of someone all at once some in shouts, some in whispers. Even as they fight to save the living, they carry the ones they lost with them everywhere they go. When we talk about opioids addiction and overdose deaths, it is much too easy to lose sense of the people who have fallen victim to this epidemic. They have families, and friends, many of whom are here today with us. They have goals and dreams. When we lose them the people they leave behind are never the same. Our communities are never the same. And when we throw the label at it on a person, we strip them of their humanity with that single word. When we think of substance misuse as a moral failing, when we think people wouldn’t use drugs if they just had a little more discipline. We contribute to a culture that makes it even harder to get better. People are so much more than their disease. They are so much more than their struggles. Just imagine if treated asthma as a character flaw. Imagine how we would react if pharmaceutical companies heavily pushed drugs known to give people diabetes. That’s why we’re taking action today. And it’s why New York City has been leading a comprehensive public health response to this public health emergency. Last spring we launched HealingNYC with one goal, to save lives. It’s early yet, but we are showing signs of progress. This year we are on track to distribute 100,000 kits of naloxone. Literally getting the tools to save the lives in the hands of the people who need it most or training providers in primary care clinics and emergency rooms to prescribe buprenorphine one of the most effective medications to treat opioid addiction. We’ve also taken aim at the stigma that surrounds addiction and many of the most effective treatments out there which prevents countless people from getting they help that they need. 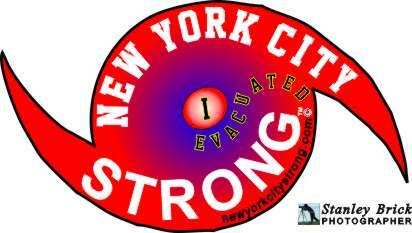 Our public awareness campaigns, which you’ve seen examples of today, are reaching millions of New Yorkers. And through ThriveNYC we are addressing the root causes of addiction and the mental illness that often go hand in hand with substance misuse. That means working to change our culture of shaming and punishment to one of healing and wellness and acting early in our schools, and even in our pre-K programs. It means bringing treatment to the communities that need it most, because while mental illness and addiction are challenges shared by everyone, they are not shared equally. And because the federal government has so far refused to do its part in our communities, with city’s Thrive we are leading nearly 200 other cities in an effort to advocate for Congress to appropriate increase funding so our communities get the support we need to turn the tide of this deadly epidemic. I want anyone looking for support to manage their addiction or help a loved one with theirs to know this. You can call 1-8-8-8-N-Y-C-W-E-L-L, and I’ll repeat that number 1-8-8-8-N-Y-C-W-E-L-L at any time of day or night. A trained counselor can talk with you and connect you to a treatment that you need today or help you find a place to pick up naloxone. And to all the people in our city struggling with opioid use, and all those who worry every second of everyday waiting with bated breath for bad news, we care about you and your loved ones. We stand with you. And we will fight for you for justice, treatment, and support. And now it is my pleasure to introduce someone who is leading that fight every day my partner and all things, Mayor Bill de Blasio. Mayor Bill de Blasio: Thank you so much, Chirlane, and I appreciate deeply the passion with which you speak about this because we have to be very, very clear about the human cost and we have to be very clear about the fact that the stigma that attaches to addiction is one of the things we have to fight every day. And I want to thank you because I think just by stepping forward as First Lady of this city and changing the discussion you’re helping so many more people get to the treatment they need. It’s really changing what families talk about, what people talk about in communities. And it’s making a big, big difference. Let’s thank our First Lady for that. This is an important day because this city is going to tackle this issue head on in a lot of different ways including going at the perpetrators of this crime, going at those who started this horrible epidemic. And I’ll talk about how we’re going to do that in a moment but I also want to recognize people who despite this huge, huge challenge have found a way to fight back through their extraordinary actions. The public servants behind me share many things in common. They’re all first responders. They’re all heroes in this city because of what they do every day. But they are especially heroes because every single one of them has used naloxone to save a life in this city. I want to thank Reverend Ray Rivera not only for welcoming us but for telling us that powerful story of his own daughter, and there are so many New Yorkers who could tell you their own story. But when a leader in the community like Reverend Rivera comes forward it makes a huge difference. I thank you and I thank your daughter as well for your openness to help understand what it takes to fight this challenge, and that it can be overcome. But also, Reverend Rivera has been one of the great faith leaders in this city in terms of bringing faith communities together to have a bigger impact on the needs of the people of this city. He’s led the way on a whole host of issues and it’s really especially an honor to be with him on this day. Thank you, Reverend Rivera, for all you do. I want to thank our colleagues in the City Council who have been front and center on this issue and great partners. I want to acknowledge them. The new Chair of the Health Committee in the City Council, Council member Mark Levine. Thank you. The new Chair of the Committee on Mental Health, Council member Diana Ayala. Thank you. And she’s not old but she has already represented her district, she continues to represent this district – Council member Vanessa Gibson. Thank you. I want to thank our colleagues in law enforcement who are such a big part of this equation and they have been leaders on the whole fight against the opioid epidemic, not just from a law enforcement angle but thinking about how to reach people in communities in so many ways. You’re going to hear from a couple of them in a moment but I also wanted to acknowledge the Assistant DA of the Bronx Derek Lynton and the Assistant DA of Queens Robert Ciesla. Thank you so much. And I want to thank – for his leadership and his entire team because we’re going to talk about the legal action that we’re taking today again against those who created this crisis – I want to thank our Corporation Counsel and everyone at the Law Department. Thank you, Zach Carter. Where are you? There you are. Thank you, Zach. And a special thank you – our partners in so much of what we’re doing in fighting the opioid epidemic – representing the NYPD, Deputy Commissioner Susan Herman; representing the FDNY, Deputy Assistant Alvin Suriel. So, when we think about the work we do as public servants, the first thing is to save lives and protect lives. Here’s a stark fact, last year in New York City, more New Yorkers died of overdoses than died of homicides and traffic fatalities combined. That is how bad this crisis has become, and as everyone who has watched it knows, in just the last couple of years largely due to the greater presence of fentanyl the crisis has grown. We know that most of those overdoses, overwhelmingly those overdoses are because of opioids. We know fentanyl has been a particular deadly part of the equation and we’ve got to do more all the time to address the crisis. Again we have to go to the root causes of it as well. This crisis as my wife said and as Reverend Rivera said, it does not discriminate. It is across every conceivable boundary. By the way it’s all across this country – urban areas, rural areas, wealthy communities, poor communities, white communities, black communities, Latino communities, Asian communities. It is a national tragedy. It needs a national solution but we haven’t seen that yet and we can’t stand still. Chirlane laid out a lot of the key components of governing our work and it takes everything from prevention on the front end trying to stop the problem before it happens to being able to address the situation on an emergency basis and save a life. And we can see that new approaches and new investments are starting to make an impact. A lot more we need got to do but we see the beginning of change. Dr. Palacio will go over that in just a moment. But while we’re trying here in this city to find solutions, and so many other cities and towns and counties around the country are doing the same, who’s getting away with bloody murder right now? The big pharmaceutical companies. That’s what’s really going on. The people who created the crisis are getting away with it. They are not only not paying for what they have done, they are continuing to do what they started. They haven’t changed. And when you think about it, how cynical it is, Big Pharma hooked millions of Americans on these drugs, deceived the people, and the human cost has been inestimable. And at the same time they made billions of dollars in the process. Now, Chirlane said something that really caught my attention because I hadn’t thought of that until she said it, when she said, what if they were creating a drug that caused diabetes? Well, not only would that be the comparison between something physical, which obviously people have an easier time acknowledging and talking about versus a mental health or a substance misuse challenge, but here’s the other piece of the equation. The cynicism in the drug industry was knowing that they were fostering addiction and knowing that it was hard for people to come forward who were addicted. They were fostering addiction and knowing society had trouble acknowledging the problem. What a perfectly cynical plan to make billions off of something that was hard to bring out in the open and that too often remained in the shadows. So, it’s simple. It’s time for Big Pharma to pay for what they have done. It’s time for them to be held accountable. Today we filed a lawsuit in State court and we are seeking over half-a-billion dollars in damages from these corporate drug pushers. We need to change the trajectory. We cannot allow the status quo to continue. Those that created the problem have to feel the consequences and have to change their ways and have to finally help address the damage they have done. The suit targets seven manufacturers and three distributors who are most responsible for creating this crisis. And you don’t need to be an expert to understand what they did. I’m going to lay it out in three simple steps. This is what the big pharmaceutical companies did. They took a playbook that they had already seen the big tobacco companies use. So, step one – they ignored all the scientific evidence that made clear their product was lethal. Step two – they went out of their way to get our society more addicted on their product every single day. Step three – they raked in billions of dollars in profit while they’re doing step one and step two. But here’s a fact, prescription opioid sales in the United States quadrupled from 1999 to 2014 according to the Center for Disease Control. At the peak point in 2012, there were 282 million prescriptions written for opioids in the United States enough for every adult American to have their own bottle of pills. Think about how systematic that effort was to convince doctors and patients alike to prescribe and overprescribe to the tune of 282 million prescriptions in a single year. Why were these companies so callous? Because they were making so much money, they were making record profits in fact. One company, Purdue, released a version of OxyContin, has had $35 billion in sales since. McKesson had $4 billion in opioid sales last year alone. One year. And here’s what happened to human beings. We now have an opioid epidemic based on what these companies did. Four in five heroin users nationally started with prescription painkillers. Then so many moved to heroin because it’s cheaper and they continue what could be a lifetime of addiction. And all of us here including so many people in this room who have been a part of this fight against the opioid epidemic, everyone is left to pick up the pieces. And I just want to take a moment because I know there’s a lot of people in this room who have labored in the vineyards including when this issue wasn’t getting the attention it deserved who have fought to save lives, who have stood up even if they have lost loved ones. Please applaud your neighbors because you all have done something so good. So this is a health emergency if we’ve ever seen one. And the human cost is what matters the most but I assure you there’s an economic cost as well. This city alone is spending over a half-a-billion a year to address the opioid epidemic – half-a-billion. When you think about all of the things that the Health Department, that the Health + Hospitals Corporation, NYPD, FDNY, Corrections just to name five agencies of many more – all the things they have to do address addiction, to try and stop addiction, to deal with the results of addiction, to deal with the lifetime needs of those who have been addicted the cost is staggering. So, it’s time for these pharmaceutical companies to forfeit some of their ill-gotten gains and send them where they can actually help us address the problem they created. We will continue our efforts even though we don’t have all the resources we need but if we had some relief, if we had some help we could do so much more. When we prevail in this lawsuit, Zach, when we prevail, we will use the proceeds to reach so many more people, to stop so many more people from becoming addicted, to catch addiction at the very beginning and turn lives around, to save more and more lives with naloxone and other measures. We need that help to reach so many more people. Also, the power of lawsuit is it will change behavior. First of all we would like it to change the behavior of the companies. We would like them to stop promoting the overuse of their dangerous drugs. And we think this lawsuit will have a powerful impact. It also helps change public attitudes. We saw this with the tobacco lawsuits. They were part of what changed the assumptions around America about tobacco use and about what could be done to stop it. So, we believe this lawsuit will have a big and lasting impact in terms of turning the tide on this epidemic. And we know one thing for sure, the status quo is unacceptable. Every day we lose three to four New Yorkers to overdoses. Again more than murders, more than traffic fatalities. It’s unacceptable. We will keep addressing it with every tool we have but we also want to address it at the root in the boardrooms of those companies who did this to all of us. With that I have a very important introduction to make and there’s nothing more painful that talking to a mother who has lost her child, and in this case lost her son, Christopher, to opioids. It is very, very difficult, I know, for any parent to live with that and it’s very difficult to talk about it but it’s very admirable when a parent comes forward to save the lives of others and that’s exactly what’s happening right here, right now. Ann Marie Perrotto, thank you and welcome. Mayor: Well you may have felt like a nervous wreck, but that was incredibly eloquent. Incredible. Give her another round of applause. And thank you. And I know what you’re doing is going to save lives, and is saving lives right now. Thank you so much Ann Marie. To tell you about what is happening in this city, how we are trying every day to reach more and more people in need, our Deputy Mayor Dr. Herminia Palacio. Dr. Herminia Palacio, Deputy Mayor of Health and Human Services: Thank you very much Mayor, and thank you First Lady for your incredible leadership not just passion but compassion in this effort for each and every soul that has been effected by this epidemic. Thank you Reverend Rivera for welcoming back again to this location, a place where he has welcomed me on more than one occasion, and which has always a special place in my heart as I grew up just 10 blocks due east of here. I want to acknowledge my colleagues who are here with me, Dr. Mitchell Katz our President and CEO of New York Health + Hospitals, Dr. Oxiris Barbot our First Deputy for the Department of Health and Mental Hygiene, and Dr. Hillary Kunins, Assistant Commissioner for Department of Health and Mental Hygiene. We heard a lot today about individuals and names, and thank you so much for sharing your incredible story. Mayor, you began by comparing this scourge to the deaths by car accidents and homicides. I have not lost a child, thank God, but my mother did. At 12-years-old my brother Angel, about 10 blocks from here, was killed by a car accident. Killed by a car ten years ago. I understand just the pain that that leaves the family, not just the mom, but an entire family forever. My mom did not have to speak of the car accident in a society that made her feel guilty about her son being hit by a car. My mom did not have to speak in a society that made her feel guilty about her son crossing the street. So I thank you for coming forward today and lifting your voices for all of the moms and dads who say we have nothing to be ashamed of, this is a chronic condition. The Mayor and the First Lady have charged us with every tool to reduce the number of overdoses and save lives, but overdose deaths are still at epidemic levels with the powerful synthetic opioid fentanyl driving these deaths. Overdose deaths here in New York City jumped 17 percent from 2014 to 15, and then jumped 50 percent from 2015 to 16. Fentanyl was involved in almost half of those deaths. But now in 2017 we’re seeing that first glimmer of hope, that light shining through the cracks. We are seeing data that tells us that we are beginning to turn the tide. From 2016 to 2017 we expect a flattening of that curve, not another spike. We expect the number of overdose deaths to be roughly even year over year. That’s good news but we have so much work to do. And fortunately we have many tools at our disposal. We have effective treatments, we have policy, we have collaboration, we have people lifting their voices. And we have data to guide us. So I want to give you a brief update on what we have accomplished since launching HealingNYC last March. As you’ve heard from the First Lady we are on track to distributing 100,000 naloxone kits this year. And since launching HealingNYC we’ve administered naloxone nearly 10,000 times. You have – you can bear witness to some of the individuals who’ve administered naloxone, who’ve reached people right at the point of death and saved them. We are transforming the way we respond to overdose survivors when they are in the emergency room. We now have trained peers, people with lived experience with opioid addiction helping these survivors at this critical moment of intervention – helping them begin that first step towards treatment and services. We have launched these peer teams at seven emergency departments in the Bronx, Brooklyn, Manhattan, and Staten Island. We are making New York City Health and Hospitals a system of excellence across the entire city when it comes to the treatment of opioid use disorders. And we are widening the availability of medication assisted treatment. This includes the use buprenorphine and methadone – effective, proven treatment for opioid addiction. And as you see we are running several campaigns to inform people to help the First Lady’s Thrive initiative continue to reduce the stigma, to reduce the prejudice against people with substance use disorders and also to reduce the stigma that has pervaded our society about effective treatments that hold people back from coming forward and saying I need help, that sometimes make people feel guilty about getting help so that they stop getting the help and put themselves at risk by stopping their medications. We have campaigns to warn people about fentanyl and how it’s being cut at multiple levels from dealer – in pills, in heroin where people who are using opioids don’t even know how much fentanyl there is. And we are providing guidance on where you can get naloxone. So New Yorkers should feel good about the steps that we’re taking and emboldened to continue to march forward. Through HealingNYC we are taking urgent steps to prevent opioid overdose deaths in our city. We are headed in the right direction but we have so much work to do because every single death from opioids is a preventable death, every single death. Mayor: Thank you so much Dr. Palacio and thank you for your heartfelt words and I know this a labor of love for you and your team. You fight this epidemic. Two more people I want you to hear from and law enforcement places a crucial role but as I said in the beginning, these two law enforcement leaders have taken that role and stretched it to a much deeper engagement with the community to help address this epidemic. First I’d like you to hear from the District Attorney of Staten Island, Mike McMahon. And I want to give a special appreciation to Mike because he made this a focal point issue, and one of the reasons that we saw fewer death in Staten Island in 2017 than 2016 was because the DA aggressively pursued this issue and created some of the initiatives that made the difference. So let’s give Mike another round of applause for that. Finally I want you to hear from a man – I was honored to be part of your swearing in, and you have just gotten started, but you’re going to be doing amazing things on this and so many other fronts – the DA of my beloved Brooklyn, Eric Gonzalez. Mayor: We’re going to take questions on this announcement today and obviously on the larger fight against the opioid epidemic. Then we’ll pause because I know some people have to leave after that, and then we’ll go to off topic questions after. So let’s take questions first on this. Question: Mayor, without taking away the culpability that many people feel the pharmaceutical companies have, what about the physicians and medical providers who prescribed this, knowing the risk? I didn’t hear much or really any comment about whether they should be held liable or at least redirected to limit the number of prescriptions that they write out. Mayor: Let me – I’ll turn to Dr. Palaicio and Zach Carter because I think there’s two pieces to that question. One, the efforts to educate the medical community on how to handle appropriate medicines the right way and then two, the legal question. But I still think what we’re trying to get across here is the root cause. The drugs were developed as the dangers became more and more clear. The companies went out of their way to publicly minimize the dangers to try to lull people to sleep, went out of their way to promote the use and overuse to keep encouraging doctors and the whole society to feel they needed these drugs even when they didn’t. What Ann Marie said is so powerful – that her son well could have gotten through his pain initially with Tylenol, but the corporate complex had hooked everyone including doctors on the notion that they should be prescribing this drug, and when they knew of its dangers rather than saying ‘wait we’ve made a mistake or there’s been an unintended consequences’ they doubled down on promoting the use and overuse of the drugs. So that’s why we believe they are the root cause, but as to what we’re doing otherwise to move the medical community – Dr. Palacio? Dr. Palacio: Thank you, Mayor, and you have that exactly right. This was a very robust marketing strategy to change prescribing practices based on incomplete and inaccurate information. What we’re doing – so New York City has been a leader in actually sort of the counter marketing so to speak and really changing physician prescribing practices with better information. New York City’s guidance around physician prescribing actually became the national model for the subsequent CDC guidance around prescriptions – of prescribing opioids. So this is a space that we stepped into very early and very boldly. Question: You know, this epidemic started with prescription drugs, but as you mentioned it has now kind of moved on to the more heroin, fentanyl, other street drugs. So I understand you saying you want to penalize these folks for, you know, their conduct that was the root cause. But do you think at this point that changing their behavior can really have any effect since it’s mostly moved on to other drugs? Mayor: I’ll just start again as the laymen voice, and Dr. Palaicio can weigh in with her expertise. Just because a lot of people have moved on to heroin doesn’t mean that new people aren’t being hooked every day. That’s the problem here. There’s a tragic conveyor belt where there’s still a lot of overuse of the prescription drugs. What Ann Marie said – you know it was a painful reality that for so many people, not just young people, the fact that the drugs are available in their neighborhoods, in someone’s home, and you’ve seen the powerful ads on television letting people know how often a drug supply gets raided. And we’ve got to get to the root cause, which is these drugs should not be prescribed the way they are right now and should not be promoted the way they are because they’re still the gateway for a whole lot of people. And of course there are people who remain hooked on the opioid – the prescription opioid to begin with. That was Ann Marie’s point as well. Many move onto heroin. There’s still way too many who the problem is they never get off the prescription drug. Dr. Palacio: That’s right, and it’s just important to note this is not a one tactic strategy, right? New York City has multiple tactics. This is one of them. We are doing many other things to combat this overall epidemic. Question: Do you think the City should – city pensions fund should divest from some of the pharmaceutical companies that you’re saying caused this crisis and profited off of it? Mayor: We have to look at that for sure. It’s not something I’ve seen the analysis on yet, but it’s the same values that I’d take in other situations, that we have to look at any situation like that. Question: Mr. Mayor, this is the second major lawsuit the City’s announced this year to combat a major issue the City’s confronting. Why this new strategy? What prompted it, and is the City considering lawsuits against other corporations for other issues that – this new approach the City is adopting? Mayor: I don’t think it’s a paradigm shift. Zach will tell you a little of the history, but these – situations like this often times take months or years to develop. That’s true certainly of this lawsuit, which has been something the City has been looking at for quite a while as its progressed nationally. As you heard when we talked about divestment from the fossil fuel companies, that was something we worked on for about two years. So I think these ideas are coming to fruition. They only work when we believe there is a viable legal strategy. Corporation Counsel Zachary Carter: Sure, I think because this announcement comes on the heels of our announcement to sue manufacturers in the fossil fuel industry appears to be part of a new initiative. I will tell you that is really a coincidence of timing. But we will use the avenue of bringing lawsuits when we think the lawsuit can have an impact and particularly when the target is an industry that is causing harm, that’s when a lawsuit, particularly one that is national in scope, that can have the kind of impact that can cause change in corporate behavior. And so we will look in an opportunistic way at opportunities to advance the City’s interest. Bringing lawsuits but only when it is appropriate and only when we think we can win. Question: A couple questions, just to follow something [inaudible] said. You said to her, see if you are looking at it, look at doing a suit as its progressed nationally, what do you mean its progressed nationally. Mayor: This is something obviously other localities have been working on. What we did on fossil fuels the other day was different than what was happening around the country. Our lawsuit was very particular, and what we’ve done divestment obviously was definitive and specific in the way other cities and states had not. When it comes to the pharmaceutical companies and opioids, we have watched the progression of other legal actions trying to decide what would be the right thing for us to do, Zach can explain. Corporation Counsel Carter: Sure, we are joining a national effort that’s in its earliest stages, in its pre-discovery stages, to bring maximum pressure on the pharmaceutical industry in order to get a change of behavior and also recover the hundreds of millions, if not billions of dollars, that need to be invested in addressing this crisis, this epidemic around the country. And so it is – when you look at the similarities between our attempts to change the behavior of the pharmaceutical companies, it’s reminiscent of what was necessary to change the behavior of tobacco companies. They engaged in the same kind of deceptive practices and minimizing the dangers of an extraordinarily dangerous and if not deadly product and that aggressively marketed the – promoted the sale of a dangerous product. So that’s – we’re taking – we’re using a similar approach. It is a long term approach as you’ll remember the tobacco suits were a very long slog, consuming many years and lots of resources, but it was worth it because entire – several generations did not become smokers because of the effect of those lawsuits. Both the effect on consumers but also the effect it had on government and government regulators. Some of you who may be old-timers like me will remember that cigarettes were freely advertised on television and I’m sure some of you can remember all the jingles still by heart. And cigarette smoking was thought to be cool as a result of that promotion, but as a result of an intense public education campaign in companion with those lawsuits against cigarette manufacturers, there was intense lobbying in Washington, and as a result, cigarette advertising was forbidden on the public airwaves, and that huge impact on the consumption of cigarettes. Question: Ten years ago, or a little more than ten years ago, the federal government got a guilty plea out of Purdue Pharma, as I’m sure you aware of, and they payed something like $600,000,000. Again some of the executives plead guilty of those charges and paid with their own money, but the behavior didn’t seem to have changed or if it changed at all it wasn’t enough. Why do you think asking for essentially the same amount now will have a different effect? Corporation Counsel Carter: Well actually, we’re not asking for – when you think about the fact that we are joining a national effort, all the Mayor talked about was what New York City’s share would be. And as you point out, that apparently was not enough to get the industry’s attention but when you have hundreds of suits around the country demanding similar compensation that might get their attention. Question: Who’s organizing that nationally? Corporation Counsel Carter: There are – there are law firms that have been specialized in this area, one of whom we retained, that is co-lead counsel both in the coordinated matter pending in Suffolk County, where we expect this case to be consolidated and also in Chicago. Mayor: While he’s looking let’s get another question. Corporation Counsel Carter: When I find it, I will tell you. Question: So studies have shown that states with medical marijuana have lower rates of opioid use, I’m wondering if that’s something you are considering [inaudible]. Mayor: I’ll only start by saying it hasn’t been part of the discussions I’ve been in. Obviously New York State has moved forward on medical marijuana, which I think is a very good thing. But I think the central point here is we need to get the root cause, and the root cause is that these companies are still promoting the use of addictive drugs even when they are not needed. Corporation Counsel Carter: Sorry, the name of the firm is Simmons-Hanly-Conroy. Mayor: I mean do you want to add to that? Dr. Palacio: Yes, you’re right there is some data that suggests that in states with medical marijuana there is a decrease opioid use, as the Mayor has pointed New York State is one of those states with medical marijuana use and – but this lawsuit is really about sort of the magnitude of effect in terms of affecting people and generations across the nation. Question: Is that the only outside counsel that’s being brought in, the law firm you just mentioned before? Corporation Counsel Carter: That’s the law firm that is representing the City. 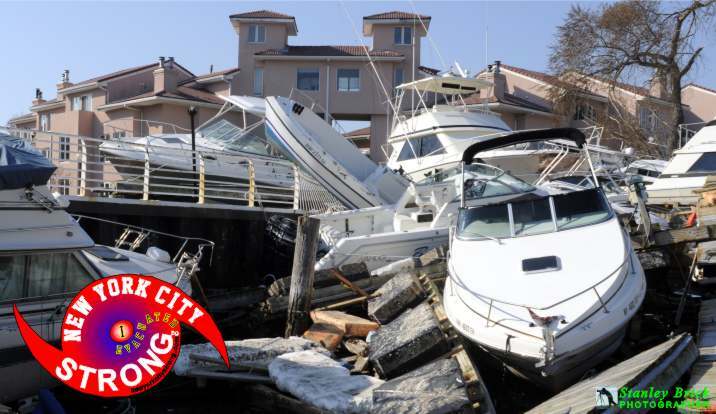 Question: Do you have estimate of how much the lawsuit might cost the City? Corporation Counsel Carter: Well it’s being done on continuously fee basis so it will not cost us anything. Mayor: Speak English to the rest of us. Corporation Counsel Carter: Sure, it means that the lawyers will be compensated by receiving a share of the recovery. Mayor: So we did not – I’m the non-lawyer here, just to clarify, we don’t pay up front legal costs. Corporation Counsel Carter: That’s correct. Mayor: Beyond what it took for the Law Department to obviously organize our part of the effort which was nothing compared to the bigger, private effort. Question: Big Pharma can’t just come out with these drugs, they have to go through the FDA, after testing and the FDA has to approve it. Now, is the FDA part of this lawsuit and why not if it isn’t? Corporation Counsel Carter: The FDA has approved the use of opioids for limited purposes, alright? And for short-term use for persons who are suffering the excruciating pain of post-surgical procedures for the breakthrough pain that is associated with cancer treatment, and for end of life palliative care. Now what all of those treatments, and I defer to the good doctor to correct me if I’m wrong, have in common is that they’re short-term uses. But from the point of view of the pharmaceutical industry that’s looking to maximize its profit, they’d like to be able to market beyond those scientifically supported short-term uses to broader long-term uses that have never been justified by the science. And so to the extent these manufacturers aggressively marketed opioids as being suited – suitable for the treatment of long-term chronic pain, that was deliberately misleading for a number of reasons. One, in terms of the effectiveness, the effectiveness of opioids diminishes over time and the only way you can correct for that, to make them effective, is to increase the dosage. The longer you take it, the more likely it is that you become addicted and through deceptive marketing practices they attempted to persuade, that is a pharmaceutical industry, both doctors and the general patient community that- that risk could be managed, and that simply not true. Corporation Counsel Carter: Well hopefully, because of what the general public, and the general public includes judges, learned about the lessons learned from the tobacco litigation, it won’t take as long to educate the judiciary about the implications of the conduct of the pharmaceutical industry because it’ll seem familiar, they’ve seen this movie before. Mayor: Well said. That’s the first sentence you’ve said I understood. Mayor: Okay, other questions on the announcement related to the litigation or anything else related to fighting the opioid epidemic. Media questions, just want to make sure. Way back there, is that a media question? Question: What’s the name of the Suffolk case and can you elaborate on the theory of it please? Corporate Counsel Carter: There is not a Suffolk case. There are a number of cases that are pending in Suffolk County that are – that are similar if not identical to the one we’re bringing today. The case – those cases are brought by other counties in – in New York State. In order to coordinate discovery the State court system, as often happens when there are multiple mass-tort litigation suits brought, consolidate all of those cases before a single judge so that the discovery can be better managed. And that will happen until discovery is completed and motion practice is completed, and then the cases will be tried in whatever jurisdiction they’re brought. In our case, this case was brought in New York County Supreme Court and ultimately that’s where the case will be tried. Mayor: 2017. And – 16 and 17 both. Mayor: They’re still working on the final number. I think we’re probably about a month away because of a lot of examination has to be done in each case. But we know enough about it to say that sad reality with assurance. Again, the hopeful sign, we certainly saw real progress on Staten Island. We’ve seen some progress in the Bronx as well. We think we’re starting to turn a tide here but we need to go much deeper into this effort to be able to say that for sure. Mayor: I’m sorry – hold on. Juliette, because you didn’t get a chance yet. My apologies. Mayor: I’ll start with the layman’s version and my colleagues can give you something more specific. But, look, it’s again this combination of hooking people on a drug, denying the danger, and promoting the overuse. Right? So they keep doing that. Remember if we we’re sitting here in a city and in a country where no one else was getting hooked on prescription opioids from this day on, we’d be having a different discussion. That’s not the truth. Every day people are getting hooked on prescription opioids. Listen to what Ann Marie said. If they come in to your life because of a prescription that never had to happen to begin with, right, one, stop – this is both on the companies and obviously to the medical community, stop encouraging the use of them where they’re not needed, stop encouraging the overuse. You know, you have the industry only too happy to encourage doctors to give out a one month supply or a two month supply for something that might only need a couple of days, right? So it’s very persistent and you know, systematic that they’ve gotten people to think they need it, they keep promoting it, they keep pushing it. And if they were being responsible, honestly their message would be please don’t use our product exempt for the most urgent, severe cases. They’ve done the exact opposite. They’ve suggested their product is good for every occasion. If I – again I’m speaking as layman, but that’s to put it in plain terms. Go ahead you guys. Corporate Counsel Carter: I mean the ultimate objective is to get the pharmaceutical companies to reverse course in the mismarketing of opioids as suitable for long-term use. Corporate Counsel Carter: Well the – well the distributers are – the distributors – sorry. The distributers are a separate problem. We are suing the distributors because they often have strong indications that given the volume of prescriptions from certain prescribers that there was strong reason to believe that these were being diverted to – for illegal purposes. And so theirs is not on the marketing, theirs is on knowing that the volume could not be possibly be justified by legal uses – appropriate uses. Mayor: I know Chirlane wants to jump in. First Lady: I just want to underscore that we all have a role to play in this. That the pharmaceutical companies have, you know, they’re killing millions and making billions of dollars. They have to stop producing so many opioids. The distributors have a role to play in not distributing these drugs. But the physicians have a role to play as well. Patients have a role to play. We have to educate people so that they know that they should not take these medications and certainly not in the quantities that they’re being prescribed. And as laypeople, as media we all have to educate people that addiction is a disease, that opioids actually change the brain receptors so that people are – feel compelled to take more. This is a chronic disease that we can prevent. But we all have role to play and we all have to do our part. 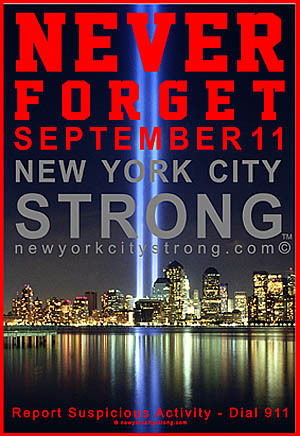 I encourage anyone who is suffering call 1-8-8-NYC-WELL. I encourage people who know people who are using opioids to encourage them to get treatment, to call that number, and also to carry naloxone because we know that we can reverse someone who has overdosed. Question: So these are legal prescription drugs, what is the City’s advice for people who go to the hospital and are prescribed these drugs. Would the City say don’t take them? Dr. Palacio: So I think the advice is to be an informed patient as much as possible, to have real discussion with your – with your health care provider, with your doctor, with your nurse practitioner, with the nurse on the way, with your pharmacist to really understand what the prescription was for, how it should be taken appropriately, what are some of the other options. You know, and it’s really around making sure the medical community, as with some of the guidelines that we’ve issued, really thinks carefully about prescribing as few – fewer drugs in lower doses. It’s not that opioids are always inappropriate. They’re not always inappropriate. They are a tool, and they are a tool that we should have more robust knowledge about both the potential benefits and the potential risks. We should have much more open discussion about the potential risk. One of the things that the pharmaceutical company has been very effective doing is minimizing those risks both for physicians and for patients. So it’s really around making those good choices to treat pain. Pain should be treated, this isn’t saying people should just live with their pain. But there’s a variety of ways that we can think about managing pain in a lower risk way. Dr. Palacio: So I would just begin by saying that I was a doctor seeing patients for a really long time and I can assure you that my patients did not see me as a priest. And I got asked lots of questions, lots of good questions. And yes, we are working with providers all the time both in terms of thinking about how to prescribe opioids judiciously but also making sure that we expand their access to treatment for people who are already suffering from substance use treatment. So this is making sure that physicians understand what medication assisted treatment is, how to do it, how to prescribe it well, how to feel comfortable, how to talk to their patients and understand addiction. Many patients come in to a primary care – it’s how primary care doctors do this. So, it’s an ongoing relationship, it’s not a one and done. Health + Hospitals, again, it’s got tremendous support now for their clinicians and their emergency rooms. The Department of Health and Mental Hygiene is working with private physicians and doctors’ offices throughout the city. Mayor: So – because I want to emphasize to change behavior. I mean I – just to make sure we’re in sharp terms here. And I thank Mitch and everyone at Health + Hospitals because, you know, they’re working to make sure their approach is right. As Herminia said, we’re reaching out to doctors across the spectrum to try and make sure they understand how important it is to get this right. I agree with the premise of your question. I imagine Herminia was a very accessible doctor, but think you’re right that there’s a lot of doctors who people who don’t quite know how to have a dialogue with and they put them on a pedestal and that can be a problem if you’re trying to question whether there’s been an overprescription. And Ann Marie had that exact situation. I want her to speak to it. Ann Marie Perotto: When my son was prescribed the pills I had no clue that what he was taking – I didn’t think that a doctor would prescribe a prescription that would harm him. So you know, I now, every prescription a doctor gives me, I google it, you know. I see the side effects. I see what it is for and I say to the doctor would you give that to your own child? That’s the main thing. Don’t give it out, don’t prescribe it if you are not going to give it to your own child. Don’t let your child take it and look it up, educate yourself. It’s the biggest thing on educating – I wish I was more educated when my son was alive because maybe that would have saved his life, but now I’m doing it and I hope to save many lives but educate yourself. Question: The Health Department has a study out for about a year and a half looking at supervised injection facilities that some people say could be used to help treat addiction. Question: Can you tell us or update us on the status of that study – when it will be presented? Mayor: Yes, big and complex matter that’s taken some every careful study. I think relatively soon we will be able to speak to the results of that study. There is still some work to do but I do think pretty soon we’ll be able to come back on that. Question: In the next month, couple months? Mayor: I’m not going to be an exact point on it but I think you’re colleagues would say when I say soon it means something is happening soon. Question: How many firms, do we have any idea of how many firms are involved here, are targeted? Mayor: Right, so seven drug makers, three distributors. Is that right? Mayor: Seven and three. Okay last call again on either the law suit or any other opioid related issue before we turn over to other topics? Again, I want to say to everyone, again so many people in this room who have fought against this epidemic and have helped to save lives – I want to really, really, thank you do all you have done, it’s making a huge difference and we are going to stand with you as we continue this fight, thank you everyone. Mayor: Just get the door shut, that’s always my sign to go. Jessie hit that door would you? Mayor: Alright, we’re good – other topics. Yes sir. Mayor: Absolutely. Remember, first of all just to get the facts right here, it was the Southern District, the US Attorney that started looking at this issue a couple years ago. DOI came into it in a way but let’s be clear about the original work being done by the Southern District and we continue to work very cooperatively with the Southern District. Second, I have said from the beginning, I believe it fundamentally – when you look at everything that has happened at NYCHA in four years, it is safer than it was, there’s been tremendous progress on making more and better repairs, a lot of scaffolding that used to be so much of a problem in the developments has come down. You have wireless, you know, developments being wired so that people have access to internet. You know, just go down a whole list of things that are changing life in public housing. The finances have been stabilized, when Shola took office the Housing Authority was literally teetering on the brink of bankruptcy. She righted the ship. So, I want to give her a lot of credit and look, I think it would have been a different situation if what was being done in the previous administration had complied with the law. That’s where the problem started as you know. I wish we had caught it a lot sooner – very clear about that. I think we have our share of missteps but when you put that mistake which predates us up against the totality of what she’s achieved, I continue to have great faith in her and the more important issue to me is how are we going to move forward with NYCHA and I think she is the best person to move us forward. Yes. Question: Was the decision to replace Michael Kelly related to these issues with Olatoye? Mayor: Look, we are at a natural inflection point after one term, starting another term. There was a good conversation with Michael. It was a point for him where it made sense to make a change. It was a natural reset moment. We had Vito Mustaciuolo ready as someone who could come in, who I’ve known a long time and have worked with directly who could come in and help us take the next step forward. And when you think about what we have to address now going forward in NYCHA. It’s going to take – we know the resource situation is going to continue to be a challenge, we got to keep getting more out of less and I am convinced Vito is someone who can drive us forward in that environment. Question: But to the [inaudible] leadership? Mayor: Again it has, it’s a much bigger point about, it was the natural point if he was ready to make a move this was the right time to make it, he was, there were good conversations and we all came to this understanding. Yes. Mayor: Thank you for noting that. Question: [Inaudible] praise Olatoye, you know. I realize the situation that came before but to praise her when you have these top officials leaving and all these problems bubbling around NYCHA. Mayor: When you look at everything that NYCHA has had to deal with and the needs of 400,000 people with decades of disinvestment by the federal government and honestly a lack of focus by the City government in previous administrations, someone who can come in and make real sustained progress on so many fronts obviously is a very strong leader and manager. I think sometimes – respectfully, I think sometimes in the media there’s a standard that I don’t fully understand which is, you know, if one thing isn’t done as well as we want is that disqualifying of someone across the board. I think that’s not really a humanly consistent equation. I look at all those other measures and I see really big progress. Taking an institution that was a financial basket case and putting it on a firm footing, taking developments that were very, very dangerous and helping to make them profoundly safer, improving the repairs which matter so much to everyday lives of people, working with us to come up with a plan to fix the roofs. I mean these are big, big things that are going to affect people’s lives. There’s one thing that wasn’t handled right. There’s no doubt about it and we’ve been plain about that but she did not create that problem. So, when you think as I do as someone who has to manage the whole city, you look at what every – all the factors, everything some has achieved, what they’re capable of achieving going forward, their successes, and yeah, of course, everyone is going to have some failures. It nets out very clearly she’s the right leader for the institution. Question: [Inaudible] follow up. You said on Errol Louis last night that the delay in requesting funding from the State is a [inaudible] and I’m wondering if there’s anything you see in the bureaucracy of NYCHA [inaudible] the City as a whole, the administration itself that can be streamlined. Is there anything specific that you’re looking at to kind of make things run more smoothly? Mayor: Well, it has to keep improving, let’s be clear. I mean I would say that about agency but obviously NYCHA is one of the ones that needs real progress but let’s also put it into perspective. Look at the Next Generation NYCHA plan. I would just argue to anyone, if you’re sincere about covering this topic, look at the governing document. Look at the NextGeneration NYCHA plan and look at the fact that there was some big moves made to streamline management. The agency was in some ways top heavy. A lot of folks through attrition, a lot of positions were changed. You judge management by a series of metrics. If you look at the metrics on crime, on repairs, on scaffolding, on a whole host of things, they’ve continued to progress. So, something is improving in the management of NYCHA compared to the past undoubtedly. We need to go farther. When I look at that situation with the State funding, look this is something every bureaucracy is capable of, taking too long to do something that they could do in a simpler fashion. So once that money was approved by the State I would argue rather than a substantial resident engagement process which is always a valuable thing, I would argue given the vagaries of the State of New York and their slowness is getting us money including money from three budgets ago, we’re still waiting for, for NYCHA. We should have gotten that in quicker. Now, that being said, they’ve had it – the State of New York has had that proposal for over two months and it was approved in their budget. So, now, I have admitted we should have done a better job. I’d love you guys to go ask them when they’re going to approve the money and get it to NYCHA for the boilers and the elevators. Question: Mayor, there’s a budget protest that is planned tonight outside Senator Schumer’s house. They’re quite upset at him for ending this shutdown. You talked a little about it last night I just want to hear your thoughts if you believe that the anger particularly against Senator Schumer by these progressive groups is correctly placed, if you share their frustration in how Democrats handled the shutdown. Mayor: I have a different perspective. If you said this was the last act of the drama then I could understand the frustration but it’s not the last act in the drama. I have immense respect for Senator Schumer and what he’s achieved for the state but also how he’s led the Democratic Senate contingent. The next act is the one that matters. I believe this fundamentally. To have a further three week pause which is basically, on top of the two or three week pause, I don’t think that’s the decisive moment. I think the next one if the decisive moment because we’re coming up on the deadline for the DREAMers. But I want to remind people and this is where I think the Democratic Party bluntly could do a better job in this moment to remind people what this is about beyond just the DREAMers. What Senator Schumer and the Democrats in the Senate are fighting for is money to address the opioid crisis, they are fighting to address the crisis in Puerto Rico and to get resources to Puerto Rico that haven’t gone as well as to Florida and Texas, they are fundamentally addressing things well beyond the DREAMers that are essential, and they’re trying to protect 700,000 Americans who, as we know, the vast majority of their fellow Americans believe they should be allowed to stay. So, I think it’s been too – as much as the DREAMer issue is immensely important, I think there’s so much at stake here that goes beyond that issue that we have to put in fuller perspective, that all should be, in my opinion, that bargaining position for this next phase. That’s what we’re fighting for, to get all those things done. And I think it’s important for not only the progressive movement but for the American people as a whole to see every single one of those is a basic matter of fairness and to see that’s what we’re fighting for. Question: So, your [inaudible] Schumer caved, your answer, your response would be? Mayor: Again, I think the next milestone is the one that matters. I don’t agree with that analysis. The next one is the one that matters. Question: Just following up on that, do you think [inaudible] Senator Gillibrand voting no? Mayor: I’m not going to be your political pundit of the day because I think the next one is the one that matters. Question: Just another question, unrelated. On Friday, the City submitted an amicus brief in the Janus Supreme Court case. I’m just wondering if, Zach Carter, if you could talk a little bit about the argument the City is making and how the City will be monitoring that case next month. Corporation Counsel Carter: Well, I mean in a nutshell, the City is arguing from its perspective and its experience with the contributions required of those who are not members of unions, how it promotes a relationship between those who are represented and government employers that we think is positive and productive and that has stood the test of time over the years, and that we believe that what originally justified the prior Supreme Court decisions that blessed these arrangements continues to be sensible. Mayor: If it ain’t broke, don’t fix it. Just wanted to add because I left one very important item out in talking about the government shutdown. I mentioned this on NY-1 last night. The DSH payments for our hospitals. You know this is not just a New York City issue. This is a national issue. And this is about making sure that public hospitals and a lot of private hospitals can continue to provide healthcare to people who don’t have insurance and keep those hospitals going. So, again, I think this is a bigger frame that we as Democrats and progressives need to get out there. This is the – these are the stakes. This is what we should be fighting for and this is what we should be holding the Trump administration and the Republican leadership in the Congress accountable to. Question: Emails from top MTA officials [inaudible] Governor Cuomo’s administration show that they were involved in requesting that statistics be altered essentially to blame more subway delays on power and ConEd-related issues. Do you believe that you can trust the numbers that the MTA and the Governor in particular are putting out and how they are explaining the problems with the subway? Mayor: I’ve always been questioning about those numbers and you know beginning with the fact that they have never honestly answered the point that they took $456 million out of the MTA, earmarked funds for the MTA. I’ve made this point for months. I’ve never seen a serious attempt to refute it by the Governor or his team. So, let’s be clear, if they want to deal honestly with the numbers, they would start by admitting that and moving that money. And don’t – if they tell you, “Oh we have a deficit.” That’s just not the reality. The reality is even when you have economic challenges you make choices. If I took $456 million from you before I start spending money on other things, I’d have to pay you back. So, that’s what they should do with the MTA. On the question of trying to create false blame, that’s very troubling and again, doesn’t indicate seriousness in terms of taking on the problem and taking responsibility for the problem. Question: Going with the MTA, some of your officials are hosting a conference call today regarding funding. Can you give us some insight on what that will be about? Mayor: Look, broadly we’re going to continue to make the point that we don’t like the direction the MTA is taking, and we’re going to be speaking up about it. That a lot of things are being approved that are not the most essential, and we really have to recognize the MTA and subways in particularly are in a crisis. The money should go to address the crisis. It should not go to amenities or things that are nice to have but less essential. What I talk to New Yorkers about all the time is it’s really clear what they want – they want to be able to get to work on time. They want to be able to get their kid after school on time. Number one is getting where you’re trying to get on time. Related, they don’t want to be stuck on the subway car for a long period of time. And all the other things – the countdown clocks and the wifi and painting, having lights on bridges – all that stuff doesn’t matter compared to your subway actually arriving where it’s supposed o arrive on time. So that’s where the money needs to go. Mayor: This is getting rather technical. Okay, try me. Question: They can’t because of the zoning. One such property coming up, and it’s going to be the first case is the Hebrew Home in Riverdale, which bought the property next to them in an R1 zone. Mayor: Okay, I’ve got to stop you just for everyone’s benefit. I don’t the details on this one. So we’re going to have to get back to you on that. Question: [Inaudible] to build a senior project. Now instead of affordable senior project it’s going to be co-ops actually. Mayor: Again, I don’t know the details. I have to find the details. We will happily get you an answer when we look at the details. Question: Hi, quick question – why has HMO cut their detox treatments down to from in-patient from 30 days to 24 days to 14 days to 7 days to 5 days to out-patient care, and how to they address this HMO crisis? Mayor: Not something I know about. Dr. Palacio do you know or have to get back on that? Mayor: HMO’s in general or is there a specific one? If you don’t know, we can come back, but do you know something on this? Dr. Palacio: I don’t know. I can’t speak to the HMOs in general. You would have to pose that question to them. I think – and I don’t know what beds – in general, it’s important to think about sort of what are the – there are some treatment modalities that are more effective than others, and I don’t know if that’s what – if they did an analysis. Mayor: Right, their treatment modalities did not include necessarily a bed, but why don’t have a follow up on that. Mayor: Woah, woah, woah – there you are. Okay? Question: On congestion pricing, can you re-iterate your thoughts on this? Mayor: Yes, so item one – I have not gotten the formal briefing on the plan, so I’m going to get that in the next few days, and I’ll have more to say after that. Item two – the devil’s in the details always. So we’re really scrubbing the plan unto itself, and then of course there will be a long legislative process, and we want to watch the details very, very carefully because they could determine whether something is fundamentally fair or unfair. Three, and definitive – and I worry about this a lot – the money must go to New York City. Whatever the proceeds are they need to go into a lock box for our subways and buses. I am far from convinced that that will be the case. We have, you know, the per ride cost for a city rider on the subway or a bus is much, much less than for a commuter rider in the suburbs. There’s always been a disparity where the MTA overinvests in the suburbs. I understand the political dynamics for some of the forces in Albany. I want to watch that one like a hawk. If New Yorkers are going to have to pay, we better get it back. But so that’s some important qualifiers. What I see as progress compared to – you know, I’ve said many times publicly there were two previous plans the Bloomberg plan of a decade or more ago, the MoveNY plan from four, five years ago – what’s progress compared to those two is taking the bridges out of the equation. It’s a very important step particularly in terms of fairness for Brooklyn and Queens. So I think this is a better way of looking at the approach because they took the bridges out of the equation. But I got to see a lot more. There’s a whole lot of unanswered questions before I can take a formal stance. Question: [Inaudible] watching it like a hawk? Press Secretary Eric Phillips: Last question. Mayor: Wait, wait, I’m sorry. I’m going to override the tough Eric Phillips. I’m going to be a liberal here. Go ahead. Question: In your gut, do you think the Legislature is really going to approve it? Mayor: I don’t – I want to be consistent here. Many times you all have asked a question ‘oh, the millionaires tax is supposed to be dead on arrival’ right? If you follow that logic, just listen to what Flanagan’s saying about congestion pricing. That’s supposed to be dead on arrival, too. I don’t buy dead on arrival with hardly anything. Sometimes I honestly see a specific case where I think you’re talking about pure impossibility. I don’t think millionaires tax should be off the table. I still think it’s the better approach. Of course, something like congestion pricing in this new form might have a better chance of surviving, but both are going to face tremendous challenges undoubtedly. I still argue that because millionaires tax only affects five borough residents it may end up being more palatable to suburban legislators than any kind of congestion pricing. Mark my words – that’s a conceivable scenario. I also think millionaires tax is better because it’s bluntly more reliable, and because we would include the Fair Fare program – the half-price MetroCard’s for low income New Yorkers – as part of it. But I don’t want to get into the punditry. Something has to give. At the end of this legislative session, the Governor and the Legislature have to come up with some long term funding for the MTA, or else they’re going to have a profound political problem on their hands. Question: Is congestion pricing the only way to manage traffic? Couldn’t there be a better traffic management plan for Manhattan? Mayor: There’s a lot of different pieces to managing traffic. I think we have to be really clear – this is not a magic bullet. And I urge you guys, look, it’s going to be at minimum a two-month-plus debate if this goes into the budget. If it goes into the legislative session, you’re talking about more like a three, four month debate. We’ve got to get out of the sort of stereotypes about all of this. If we’re addressing congestion, it’s a citywide problem. It’s a five borough problem. I put out a congestion plan a few months ago that spoke to changes we could make, not just to Midtown Manhattan but a lot of other places. And those are just beginning. I’m particularly excited about the notion of banning deliveries during rush hour in key places. We’re starting to do that right now. We’re going to see if that works, we’re going to expand that. That’s hugely important to addressing congestion. There’s a lot of other pieces – the block the box campaign – all of these things are going to matter. The proposal from the governor obviously only affects one piece of Manhattan. Now in that one piece of Manhattan, we have to analyze what the impact would be on congestion, and we have to also analyze how it connects with these other strategies. But no – anyone who says the only congestion problem in New York City is in Midtown Manhattan doesn’t live with the rest of us where most of us live in the outer boroughs. And second of all, this pricing approach is one of many strategies you’d have to talk about if you really want to change the congestion picture in New York City. Question: [Inaudible] helpful to go to the legislature with a plan B that takes the money equation out? Mayor: I would say it a little differently. Whatever happens in the legislature, to the previous question, I’m not going to be surprised. They could act in any number of ways, or they could do a hybrid of different plans. We don’t know yet. We only know they better come up with money for the MTA for everyone’s benefit and their own. But if we’re talking about congestion, we have to move forward with all the other things we’ve proposed regardless of what happens in Albany, and we’ve just begun. I believe we’re going to find other things we can do as a city. A second, and you remember when we put out our congestion plan some of these things have to do with state highways where we need to come together – Staten Island Expressway or Cross Bronx are good examples – again, that has nothing to do with the quote-unquote “congestion pricing” plan that came out of that commission. So there’s a whole host of other things we have to keep moving and deepen no matter what. And they all have to be looked at how they affect each other. So I don’t think it’s like a plan B. I think we’re all going to keep moving because I’m not going to be shocked if Albany does something big, something small. We have to keep moving in the meantime. Question: So at the end of the federal investigation last year, Joon Kim put out a statement and then you responded to it and said that they had showed quote – that your staff and colleagues had – quote “acted in a manner that was legal and appropriate and ethical throughout as has been confirmed by the results of this investigation.” So Kim in an interview yesterday said essentially that’s not – you’re mischaracterizing what he said. Quote – “we do not ask the question is the conduct ethical or appropriate” and he said “as a private citizen I certainly hope that a decision by a prosecutor not to bring criminal charges is not the standard that we should expect from our leaders.” How do you respond to that? Mayor: Exactly the way I did before. I’ve got nothing to add. I’m very comfortable we did everything legally and appropriately and ethically. Mayor: I said exactly what I believe. Question: [Inaudible] congestion pricing is it your understanding that you’re going to need the home rule message? Will the Council have to vote or will you have to weigh in, or is this all State? Mayor: We need to know more about, first of all, what we might be voting on. Remember, again, guys – patience is a virtue here. This is a proposal from a commission. We will see what happens next with this proposal from a commission. First of all, we have to understand what it is. Then, we have to understand what the legislature is going to do with it, when they’re going to do it. There’s a whole lot of unanswered questions. The last time around, there was a home rule in ’05 or whatever it was. There was a home rule, but it really depends on the specifics whether home rule is required, so we’d have to see what the ultimate legislation looks like. Question: So going back to the government shutdown, how Senator Schumer and the Democrats have handled the deal to end the government shutdown, the DACA issue – what impact do you think that would have on the 2018 races? Will it help or hurt Democrats? Mayor: Yes, I think the next – again I really believe this – the next milestone is the one that matters. And we have a chance there to address the 700,000 Americans who should be allowed to stay, the opioid crisis, the needs of our hospitals, and the fate of Puerto Rico – a powerful collection of issues that need progress. That’s what we should be fighting for. I think we can and should do that, and that will send a very powerful message to people all over the country, but again, I think we’re getting a little too micro after one brief delay followed by another brief delay. It’s not time to judge what the impact is going to be on November. The final package is when we can judge what the impact will be on November.